“For a full blown shopping jaunt amid fresh designer boutiques coveted by in-the-know fashionistas, you can’t beat the rue Charlot area in the Haut Marais. In this predominantly 17th-century part of town, discreet facades reveal next-generation French labels, hidden vintage boutiques and jewellery makers – the lot interspersed with avant-garde art galleries and cool cafés”. Rent a pop up store in the Marais in Paris to test your ideas for a week-end, a week or a even a month? This is exactly why we’ve opened up our spaces, all located in one of the most fashionable and touristy neighbourhoods in Paris. We manage three pop up shops with storefronts which were renovated to do just that : to host your sales, events and ideas! The Marais is one of the oldest districts in Paris, and is known today as one of the trendiest neighbourhoods in town. Concept stores, young designer boutiques, international brands, this is without doubt a shopping destination! 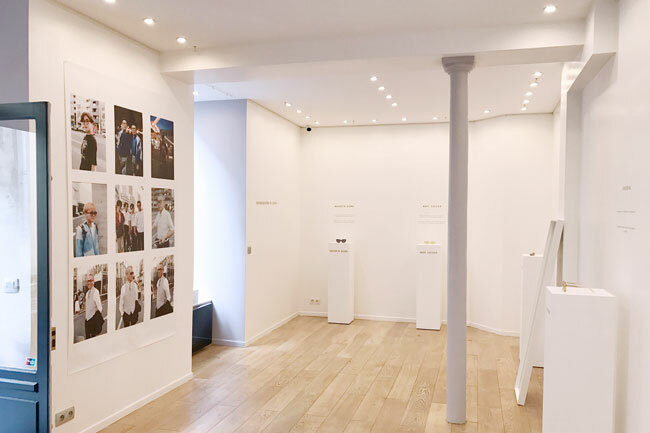 Leading designers and “avant garde” shops have gathered in the Haut Marais area, around rue Charlot, rue Debelleyme, rue Vieille du Temple and rue de Poitou. You’ll find them along side national brands like Zadig & Voltaire, American Apparel, Comptoir des Cotonniers or APC. And guess what, this is exactly where you’ll find our pop up spaces : 54 Charlot, 21 Debelleyme, 28 Saint Gilles, 16 Poitou and 20 Saint Claude.